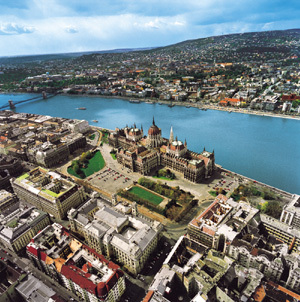 Inner-city-Lipót town is the fifth district of Budapest. The Inner-city is the ancient centre of Pest, on its place there was a settlement even in the prehistoric age, one of the most significant crossing-places of the Danube was formed here. During centuries the progressively developing city had been destroyed several times, but rebuilds made it nicer and nicer. After the 1838 flood the "Embellishing Committee" did a great deal to the modern look of the city. At that time the city had a classicist aspect: Deák-square Lutheran church, County Hall, Chain-Bridge. 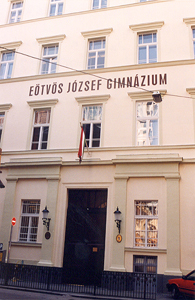 Political, literary and scientific people met at the cafés and restaurants of the reform era (Kremnitzer Coffee House on the bank of the Danube, Pilvax). In the second half of the 19th century the two new bridges, Ferenc József (today Freedom Bridge), Erzsébet bridge, the building of the Hungarian Academy, the Parliament, the Gresham palace indicated the speedy development of the centenary. 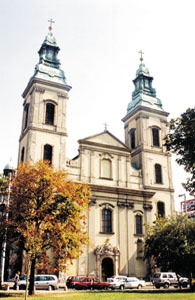 On 1st January 1950 the area of Lipót town reaching to St. István boulevard was attached to the Inner-city. Today, the Inner-city is the centre of intellectual, political, cultural life and tourism. The municipality of the fifth district works hard on helping both the people living in this area and visitors to feel well.